MEP Emmanuel Maurel stressed that the resistance and belief of the Kurdish people is something to be admired and reiterated their support. 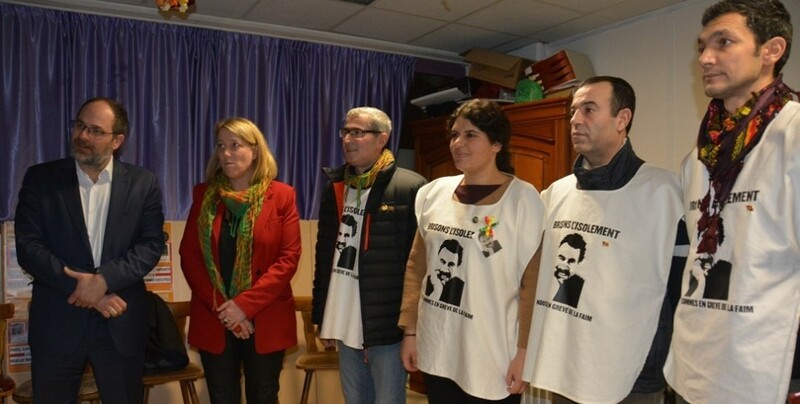 Many deputies and politicians continued to visit the hunger strikers in Strasbourg on their 31st day. The hunger strike is demanding the end of isolation against Kurdish People's Leader Abdullah Öcalan. 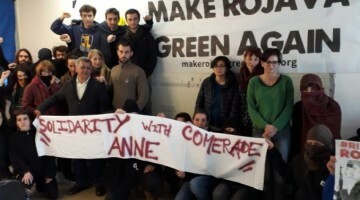 France's largest left umbrella organisation, France Insoumise, MEPs Emmanuel Maurel and Younous Omarjee and French MP Caroline Fiat and European election candidates Sophie Rauszer and Manon Aubry, visited the hunger strikers. In addition, a delegation led by Paris City Councilor Danielle Simonnet of the Left Party (PG), a member of France Insoumise, also visited the hunger strikers. Simonnet is also the national spokesperson for France Insoumise and the General Coordinator of the Left Party (Party de Gauche). Maurel stressed that the resistance and belief of the Kurdish people is something to be admired and reiterated their support. Maurel also stressed how Kurds have won the respect of all French for their fight against ISIS. A fight, the MEP said, they carried out not only for the Kurdish people, but for the whole world. Maurel added that the resistance and power of the Kurds were a source of power for them. European candidate Sophie Rauszer said that she has seen through the years the resistance and determination of Kurds promoting the Freedom for Öcalan Vigil. The French visitors then exchanged views on what can be done to ensure that the demands of the hunger strikers are internationally recognised.